Dan serves as Executive Director of the Ohio Association of Independent Schools, an organization representing 45 member schools and over 17,000 students throughout the Buckeye State. Dan’s experience in government began while he attended Villanova University, from where he would earn a degree in history and political science in 2000. Dan had the honor of serving as an intern for United States Senator John H. Glenn during his last year in office and shortly before Senator Glenn’s historic return to space. A native of Appalachia like Senator Glenn, Dan was awed by Senator Glenn’s courage and was inspired by the Senator’s dedication to public service in order to make Ohio a better place to live, work and raise a family. While attending the University of Cincinnati College of Law, Dan worked for current Cincinnati Mayor John Cranley as a part of the Urban Justice Institute. As an Urban Justice Institute Fellow, Dan and Mayor Cranley, along with other students, co-authored a law review article on Ohio’s use of the death penalty in 2002, which laid the groundwork for the establishment of Ohio’s chapter of the Innocence Project. Dan also worked on efforts to persuade Ohio to re-ratify the 14th Amendment to the United States Constitution, which came to fruition on the bicentennial of Ohio’s statehood in 2003. 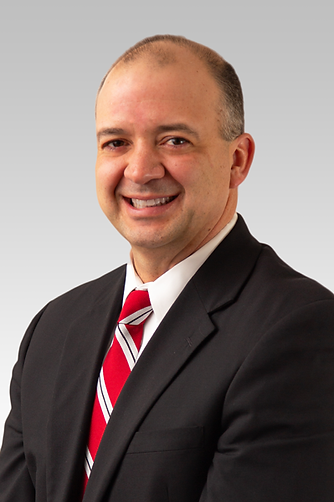 After graduating from law school, Dan was admitted to the Ohio Bar and began working at Robert J. Dodd, Jr. Co., LPA, specializing in representing worker’s compensation and Social Security disability clients. Dan was elected to the Ohio House of Representatives in 2006 and while serving as Chairman of the House Insurance Committee and as a member of the Agriculture and Natural Resources, Financial Institutions, Real Estate and Securities, Civil and Commercial Law, and Veterans Affairs Committees, Dan developed a reputation as a common-sense problem solver willing to cross party lines to create solutions that would benefit all Ohioans. After leaving the Ohio House of Representatives in 2011, Dan joined OAIS as its Executive Director. Dan quickly increased the visibility and the profile of the organization, making it an influential voice in education policy debates. Dan’s work on behalf of OAIS has led to several policy and statutory changes, including a high school testing exemption for ISACS-accredited private schools, direct receipt of auxiliary services funding by secular private schools, the change of the school year measured in days to hours, and an authorization of private schools to charge fees for school-provided transportation, among others. Dan is most proud of his roles as a husband and father. Dan’s wife, Stephanie Dodd, serves as an elected member of the Ohio State Board of Education, and they are the proud parents of daughters Cecilia and Frances, and son, Augustine. The Dodds reside in Licking Township, near Buckeye Lake and Hebron, and are members of St. Edward the Confessor Parish in Granville.